Can You Get Addicted to DMT? How Can You Help Someone Who Is Having a 'Bad Trip'? DMT is a hallucinogenic drug whose effects are short-lived but powerful. It does not produce physical dependence, but can lead to psychological addiction. Many people who abuse DMT also abuse other drugs and may suffer from concurrent mental health problems. It is important that you do some research to find the best DMT recovery facility for you or your loved one. Who Answers? today to speak to a treatment support professional about rehab programs in your area and how to pay for treatment. DMT is a psychedelic substance in the same class as LSD, peyote and psilocybin. Classic hallucinogenic drugs are believed to produce their effects by acting on the brain areas that use the neurotransmitter serotonin. DMT alters your perception of yourself, your surroundings and others. Known by the street names “businessman’s trip” or “fantasia,” DMT alters your perception of yourself, your surroundings and others. It distorts what you hear, see, taste and feel, and will produce varying results for different people. Hallucinogens such as DMT produce alterations to neurotransmitter activity.2 Persistently influencing the brain’s signaling systems can result in psychological addiction or dependence. This form of dependence is linked to emotional, motivational and personality changes and does not result in a classical substance withdrawal syndrome, complete with physical symptoms, such as nausea, vomiting or cold sweats. An inability to get DMT use under control when attempted. Developing tolerance to DMT, causing you to need higher doses to achieve the same effects. Continuing to use the drug even when it interferes with your daily functioning and the ability to take care of obligations such as work and school. A drug addiction can take on many dimensions that require several different types of treatments and therapies, which makes rehabilitation a complex situation. Addiction treatment will help you or your loved one stop using DMT, maintain a drug-free life, become a functioning member of the family and be able to function in society. Addiction is a chronic disease that isn’t cured quickly. Most addicts must undergo long-term and repeated treatment at a DMT rehabilitation center to regain control of their lives. Polydrug use is common in people who use drugs such as DMT or LSD. The hallucinations with the drug are often short-lived, so the drug may be combined with marijuana or other mood-altering drugs to increase the effect. Individuals who use DMT have a higher rate of polydrug use at an earlier age than other drug users.4 Although DMT doesn’t lead to physical addiction, this polydrug use increases the risk of both physical and psychological addiction due to the combination of other drugs being used. There are several different types of treatment plans available when you experience dependence on DMT or have a polydrug issue. Which plan you choose is dependent upon your personal circumstances and the recommendations of your treatment team. Together you will determine which plan will function best in your individual situation. You will have the choice of an inpatient or outpatient DMT recovery program. Outpatient programs are best suited to people who have managed to retain stability in their life while abusing drugs. These patients can often continue to work and take part in their normal daily activities while getting the treatments they need. A benefit to inpatient treatment is that you will have access to medical professionals. This is especially helpful during the withdrawal and detoxification processes. Inpatient program also offer support groups and let you speak with addiction counselors more frequently than outpatient treatments. These programs provide group and individual counseling at least 3 days a week and participate for 2 to 4 hours each of those days. The program is designed to allow people to return to work or school. If your situation warrants, an inpatient or residential treatment facility may be the preferred method for substance abuse rehabilitation. These programs involve living in the treatment facility, around the clock, for 30 days, 60 days or 90 days. The programs provide many of the same benefits as an intensive outpatient recovery facility. But they also allow you to recover from drug addiction in a supportive environment. Individuals who require more medical monitoring will also have that available. Within the scope of inpatient rehabilitation are specialized options that include executive level of care and luxury rehabilitation. Executive treatment facilities offer CEOs and celebrities privacy, anonymity, and the ability to continue to participate at work. Some facilities also allow you to interact with clients during your stay. Luxury rehabilitation hospitals offer a level of service and amenities often found at exclusive resorts. You have access to other activities such as spa treatments, golf, massage, aromatherapy and exceptional dining. Once the initial phase of drug rehabilitation has been completed, most people are encouraged to attend a 12-step program to reduce the potential for relapse as they reintegrate into society. The 12-step program is based on a system that encourages members to take control of their lives, acknowledge that they have no power over the substance to which they are addicted and give their lives to a higher power. Who Answers? and get assistance locating a recovery center for you or a loved one. Before DMT addiction treatment is initiated in either an inpatient or outpatient setting, you will undergo an intake assessment or evaluation. Evaluate your current mental health status. Review your previous medical records. Determine if you are a candidate for their program. Review any other court documents and medical testing available. Before therapeutic group and individual counseling can be initiated, the medical professionals will determine if a physical detoxification, also called detox, is necessary. While most DMT detox sessions will proceed without incident, in some cases, having a medically supervised detox can be important to your physical and psychological safety. DMT does not usually have any physical withdrawal symptoms. While there are no usual physical withdrawal symptoms from DMT that are dangerous, the psychological effects of hallucinogenic drugs, such as DMT, often require supportive care. Withdrawal from DMT is related to the tolerance that builds up and the fantasy world that the substance produces. Re-entering reality is difficult and can encourage risk-taking behavior, leading to the use of other mind-altering substances. Regular consumption may require medication with anti-psychotics or anxiolytics. Identifying what triggers drug use. Repairing relationships with friends and families. Developing strategies to reduce the potential for relapse. Many people respond well to cognitive therapy and behavioral therapy to address their immediate needs. Once inpatient and outpatient therapies are completed, your program will advise you to use an aftercare program. These programs offer support and prevent a relapse. Many use a 12-step program to help you acknowledge your lack of control and to relinquish control to a higher power. Other forms of aftercare can include sober living environments or therapeutic community settings, as well as the resumption of regularly scheduled therapy appointments with a mental health counselor. Addiction is a complex and treatable disease that affects behavior and brain function. Treatment needs to be easily obtainable. Effective treatment includes dealing with multiple areas of need, not just drug abuse. It is critical that the person remains in treatment for an extended period of time. Individual and group counseling, as well as other behavioral therapies, are the most common forms of DMT drug abuse rehab treatment. Medication is an important and typically successful tool to help treat addicts. A person’s treatment plan must be evaluated often and modified as necessary. A lot of people addicted to drugs also have other mental disorders. Detoxification can be medically assisted, but it is only the first stage of addiction treatment and will not help in the long term if used alone. Treatment doesn’t have to be voluntary to be successful. The drug addict must be continually monitored for drug use because lapses do occur during treatment. Patients should be tested for infectious diseases, such as HIV, hepatitis B, hepatitis C and tuberculosis in order to provide targeted counseling to help them deal with their illnesses and change behaviors to reduce the risk of spreading the diseases. Make sure it treats you as an individual. 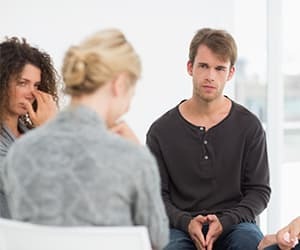 When choosing a DMT treatment center, you want to find a recovery program that views you or your loved one as an individual, taking into consideration age, gender, health status, family situation, religion, sexual orientation and financial standing. Think about what type of place you’d like to be in. Do you want to recover in a more holistic environment? Do you want to stay in a place with an abundance of outdoor activities? Find a DMT recovery facility that meets your needs and reflects your personality. Not everyone responds to the same type of treatment in the same way. Choose a treatment center that you can afford. According to the CVS health site, some health insurance carriers will cover residential treatment programs, but your specific policy may require a preauthorization or require you to attend a program in its network. Your health insurance may dictate which specific treatment program you or your loved one attends. How Can You Help Someone Who Is Having a ‘Bad Trip’? A person on a “bad trip” using hallucinogenic drugs such as DMT or LSD may appear to be having a panic or anxiety attack. Although brief, these bad trips can leave quite a lasting impression—resulting in persistent anxiety, depressed mood, suicidal thoughts and occasional flashbacks. Heavy users may also experience academic and occupational loss. Help the person to breathe slowly and deeply. Move the person to a quiet place without crowds or loud music. Speak to the person in short, simple sentences. If the person having a bad trip appears to be in danger, you should call an ambulance. In the emergency room the physicians may use medications such as benzodiazepines to help reduce the panic. Physicians can also provide supportive care measures – such as oxygen and hydration – to increase comfort. Regular use of a hallucinogenic drug, such as DMT, will increase the potential risk of experiencing a bad trip and increase difficulties with school and work. A substance abuse treatment program can help improve the ability to function at work and school, establish and maintain relationships and increase self-esteem. To get help for DMT or other drug abuse, contact a treatment support specialist at 1-888-319-2606 Who Answers? . These trained advisors can give you information about drug and alcohol rehab programs in your area and how to pay for treatment.
. Drugabuse.gov. How Do Hallucinogens (LSD, Psilocybin, Peyote, DMT, and Ayahuasca) Affect the Brain and Body?. 2015. Available at: http://www.drugabuse.gov/publications/research-reports/hallucinogens-dissociative-drugs/where-can-i-get-more-scientific-information-hallucinogens-diss. Accessed November 23, 2015.
. Drugabuse.gov. How Do Hallucinogens (LSD, Psilocybin, Peyote, DMT, and Ayahuasca) Affect the Brain and Body?. 2015. Available at: http://www.drugabuse.gov/publications/research-reports/hallucinogens-dissociative-drugs/where-can-i-get-more-scientific-information-hallucinogens-diss. Accessed November 25, 2015.
. Samhsa.gov. Substance Use Disorders | SAMHSA. 2015. Available at: http://www.samhsa.gov/disorders/substance-use. Accessed November 23, 2015.
. Sanders B, Lankenau S, Bloom J, Hathazi D. “Research Chemicals”: Tryptamine and Phenethylamine Use Among High-Risk Youth. Subst Use Misuse. 2008;43(3-4):389-402. doi:10.1080/00952990701202970.
. Kelly A, Evans-Whipp T, Smith R et al. A longitudinal study of the association of adolescent polydrug use, alcohol use and high school non-completion. Addiction. 2015;110(4):627-635. doi:10.1111/add.12829.
. Samhsa.gov. Treatments for Substance Use Disorders | SAMHSA. 2015. Available at: http://www.samhsa.gov/disorders/substance-use. Accessed November 23, 2015.
. Perkinson. The Treatment Plan. Sage Publications. 2015. Available at: http://www.sagepub.com/sites/default/files/upm-binaries/18970_Chapter_5.pdf. Accessed November 23, 2015.
. Samhsa.gov. Treatments for Substance Use Disorders | SAMHSA. 2015. Available at: http://www.samhsa.gov/treatment/substance-use-disorders. Accessed November 23, 2015.
. Drugabuse.gov. Hallucinogens – LSD, Peyote, Psilocybin, and PCP. 2015. Available at: http://www.drugabuse.gov/publications/drugfacts/hallucinogens-lsd-peyote-psilocybin-pcp#references. Accessed November 25, 2015.